An uncertainty? A suspicion of adultery? – Behavioral misunderstanding? – An urgent need for evidence or information? Whether you are an individual or a professional, our private research agency, First Investigations, intervenes quickly to serve you, 7 days a week, 24 hours a day. We are bound by professional secrecy. Discretion and confidentiality are assured on all our investigations. 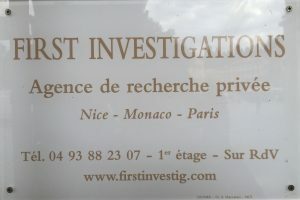 First Investigations, private detective firm in Nice, is made up solely of professionals authorized by the CNAPS (National Council for Private Security Activities) intervening motorcycle, scooter or car. Our private researchers in Nice and Europe are confident: 16 years of experience to serve you. 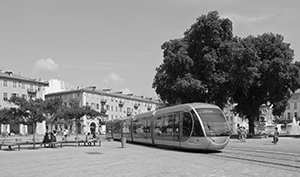 The field of intervention of our detective firm in Nice and its region ranges from the private individual (divorce file, suspicion of adultery, search for persons or debtor, solvency investigation) to the professional for business Unfair, fraud, misappropriation of goods, Prud’homme file preparation). The result of our investigative work, will reassure you for the future or will consolidate you in your approach to prosecution. We mandated First Investigations as a result of repeated theft of goods within our warehouses. Following the effective intervention of this private detective in Nice, we were able to end these robberies and identify those responsible. Rapid and conclusive action.